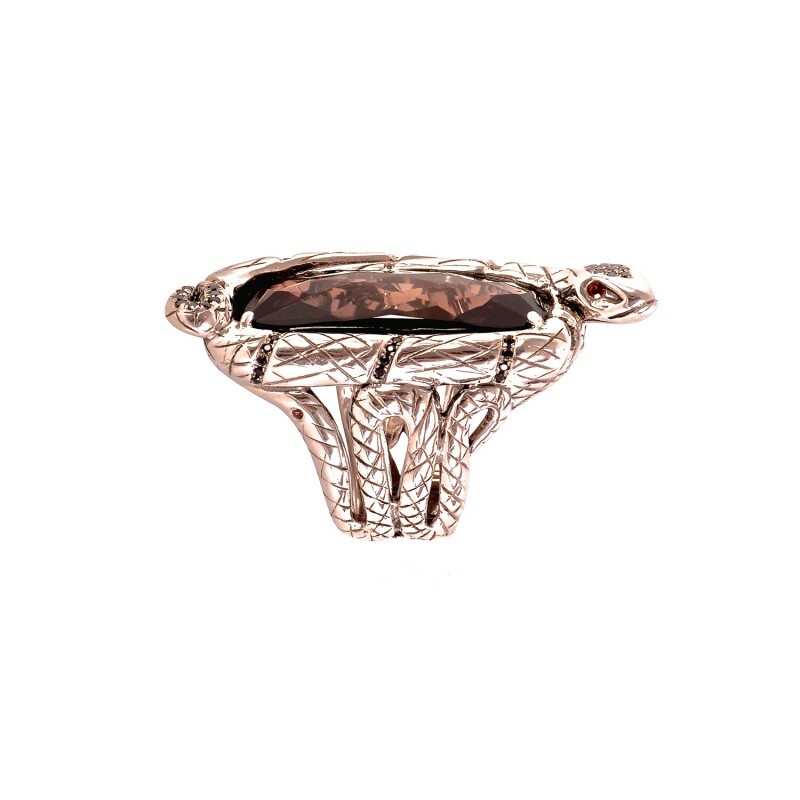 The Serpentine Ring is a seductive ring in Sterling Silver, encrusted with a snake motif and set with Smokey Quarts, Red Garnet and Black Diamond Pave. Part of the debut collection from Vara of London, inspired by the designer’s British Indian heritage, the pieces are a fusion between London chic, Rajasthani romance, and the exotic from the orient. Meticulously crafted, Vara of London’s collection is an embodiment of luxury borne of a blend of contemporary style and timeless glamour. 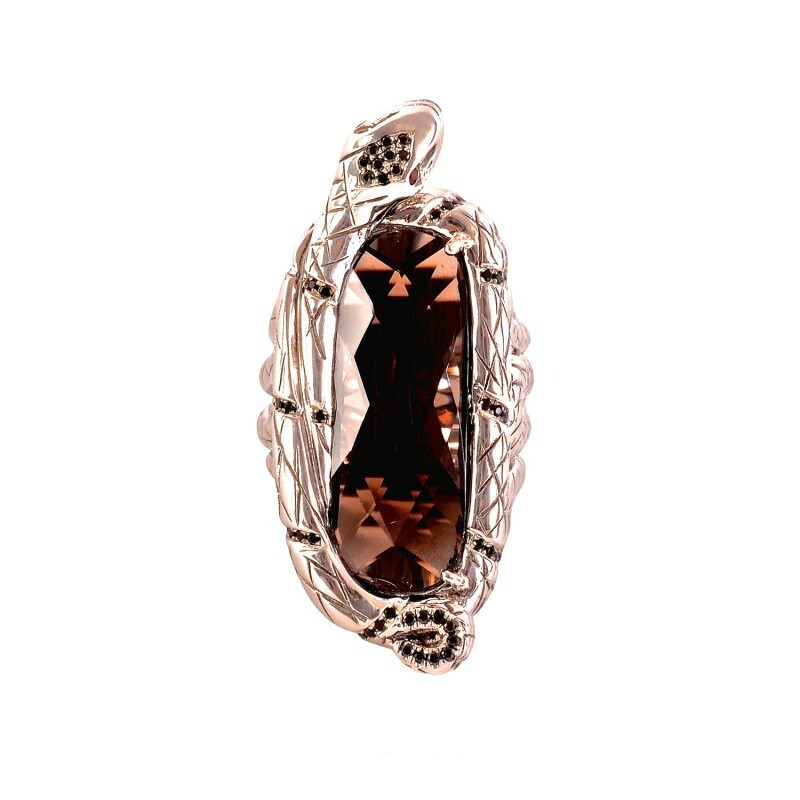 Vara of London designs beautifully versatile every day Fine Jewellery for the discerning woman. Created by Mayuri Vara, inspired by her heritage and style icons including Elizabeth Taylor, Vara of London supports The Christina Noble Children’s Foundation providing shelter, education and healthcare to underprivileged children in Vietnam and Mongolia.